The work in our lab is aimed at achieving a better understanding of the neural mechanisms underlying complex auditory processes in the human brain. Several different lines of research are ongoing to explore how the auditory nervous system allows us to perceive, understand, remember and imagine sounds. In particular, our lab is most concerned with the two most complex and characteristically human uses of sound: speech and music. In particular, music serves as an excellent model for a number of current research directions, focusing on sensory-motor integration in the context of singing or playing an instrument, brain plasticity associated with musical training, and interaction between the reward system and other brain circuits in the context of musical pleasure. For a list of current topics consult the recent publications page, and the individual project descriptions of the students and fellows in the lab (here). This work in our lab takes advantage of a wide range of methodologies, including psychophysical and cognitive tasks, functional brain imaging (functional magnetic resonance imaging, magnetoencephalography, and positron emission tomography), structural brain imaging and morphometry using MRI, and brain stimulation techniques (transcranial magnetic and direct current stimulation). Increasingly the research is multimodal in nature, involving multiple brain imaging techniques, with the overall goal being to establish brain-behavior/cognition relationsh​ips. Dr. Zatorre is a cognitive neuroscientist at the Montreal Neurological Institute of McGill University. 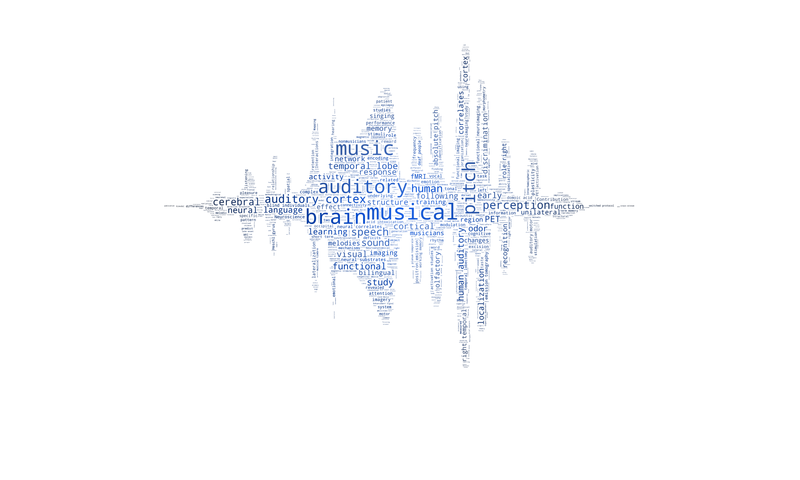 His principal interests relate to the neural substrate for auditory cognition, with special emphasis on two complex and characteristically human abilities: speech and music. He and his collaborators have published over 280 scientific papers on a variety of topics including pitch perception, musical imagery, absolute pitch, music and emotion, perception of auditory space, and brain plasticity in the blind and the deaf. In 2005 he was named holder of a James McGill chair in Neuroscience. In 2006 he became the founding co-director of the international laboratory for Brain, Music, and Sound research (BRAMS), a unique multi-university consortium with state-of-the art facilities dedicated to the cognitive neuroscience of music. In 2011 he was awarded the IPSEN foundation prize in neuronal plasticity, and in 2013 he won the Knowles prize in hearing research from Northwestern University. He lives in Montreal with his wife and collaborator Virginia Penhune, professor of psychology at Concordia University. He tries to keep up his baroque repertoire on the organ whenever he can get a chance.